In the royal architecture of the Joseon Dynasty (1392-1910), names carried extraordinary significance. They underlined the rulers’ political philosopy and ideology, and signified status. The tradition of attaching signs to architectural structures is a popular cultural phenomenon in the so-called Chinese character zone in East Asia, dating back over 2000 years. The name boards and verse plaques on royal architecture of the Joseon Dynasty do not merely announce the functions and nature of the buildings, they are an agglomeration of holy teachings, verse, poetry, calligraphy, decoration and architectural art of those times. They are not only a symbol of social and cultural fashion, but also a way of expression of the ruling ideology philosophy of the Joseon dynasty, from which we can learn about the influence of Confucianism. The nominated documents are of great value for the study of history and architectural art, as well as the cultural exchanges among East Asian Countries in the Joseon Dynasty. The World War Two records are a subset of the British Solomon Islands Protectorate (BSIP) collection. They are the administrative records created during the time of the war and the aftermath of the war. These documents are of significance to the Solomon Islands, the Pacific region, the Japanese, the United States, British colonial history and the world generally. The documents illustrate a time of great change in the Solomon Islands and the warfare held in the Islands for the very first time. The Archives preserve and protect rare volumes of journals, text books and other reference materials on leprosy. The documents are testimony to the struggle of controlling leprosy from the establishment of the Culion Leper Colony in 1906 down to its transformation to a General Hospital in 2009. The documents provide all traces of segregation of the patients and the efforts of maintaining their own community until WHO declared the elimination of leprosy as a public health problem in 1998. The Culion Sanitarium was one of the first in Asia which had a successful model of leprosy treatment facilities. The documents are of great significance, as a unique collection of primary sources on the history of one of the most important leprosariums in the Asia/Pacific region. One can learn from these diverse resources the history of the formation of the colony in 1906, the management up to its closure in the early 21st century. The final document in the collection is from 2015. The books and archival resources show the global and regional connections between Culion and other leprosy organizations. Their coordination reflects the global medical efforts at containing the disease and finding the cure for it in the end. The effort at maintaining the dignity of those afflicted deserves to be remembered before it is forgotten. The stone inscription is important evidence of the early history of Rakhine, especially from the late BCE to the eighth century CE, as no other contemporary inscriptions have so far come to light. It was discovered in the 19th century, and there is no doubt about its authenticity. The physical format of the inscription, engraved on one face of a tall four-sided pillar, is a rare surviving example of its type in South and Southeast Asia. So far, only one face (in Sanskrit) has been able to be deciphered. Texts on the other faces in three other North Indian scripts have not yet been deciphered, and appear to have suffered significant damage and irrecoverable loss. The legible face is preserved nearly intact, with only the top 6 (out of 72) lines having been already damaged by the time of discovery. This inscription is important for the dynastic and political history of first millennium Arakan and Southeast Bengal, being the only inscription from Arakan that gives a sequence of ancestors of a ruling king over several centuries, providing a narrative of first-millennium Arakan history, and giving allusions to political connections with Sri Lanka and the Andhra area in India and to religious Buddhist practices. 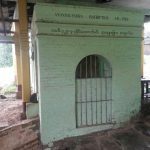 No other reliable chronicles or oral history for Arakan in the first millennium have so far been identified, so this inscription provides new historical information. While Sanskrit inscriptions in verse form are widespread throughout South and Southeast Asia, there is no other extensive and relatively intact document that is formulated in Sanskrit verse style. In the context of Myanmar, Sanskrit has only ever been used extensively in Arakan, and never in the other parts of the country, and this inscription is by far the most extensive and best preserved example. There are concerns regarding preservation. The pillar is preserved in a tiny hut where there are problems of humidity and salinity in the ground, and access by birds and other animals. The Agreements with Native Governments are the only original documents that are evidence of when each of the Ellis Islands submitted to the British Empire. 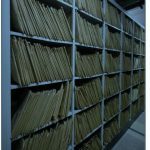 The documents are of significance as they provide evidence of a major cultural change that occurred with the impact of Western countries in the region. The Tuvaluan (Ellice Islands) people had their own way of life, however the effectiveness of these agreements gave power and authority to the British Empire over the Tuvalu (Ellice Islands) Islands people. Under the rule of the British Empire the people were also introduced to new rules, regulations and punishment which they never had encountered in their traditional way of life. 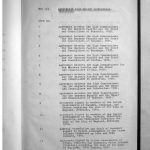 The documents are very rare, and are one of the few ways that the people of Tuvalu (Ellice Islands) can identify who were the Chiefs and Councillors in their island at the time the Agreements were made. The islands face a threat from climate change and are vulnerable to the disaster.